There is actually a reason behind catfish being one of the best game fish for many experienced as well as beginner fishermen. One part of the story is that this fish is really smart and fast unlike many people think. Catching this type of fish requires you to know some catfish facts first. Understanding its biology as well as behavior is the key to becoming a better catfisher. If you know how this fish moves, feeds and breeds, then you got a good chance of catching it easily. Following some useful catfishing tips would also increase your chances of catching the big cats that you've always dreamed about. Catfish got their name obviously from the barbells around their mouths, which look like cat whiskers. These barbells are there for a really good reason. Because of their high sensitivity, the catfish are able to taste the surrounding water for possible food as well as for potential danger. This morphology makes it a highly adaptive fish even in the worst water conditions. Unlike many people think, a lot of catfish species have various venoms to defend themselves against other predators. While the existence of venomous species that can cause harm to men hasn't been reported in North America, many proofs show that there are highly poisonous catfishes in some parts of the world. When this fish feels threatened, it extends its spines or (barbs) and strikes with them when attacked (even by a human). The good thing is that most of the catfish venoms aren't strong enough and can only cause you some pain that could last an hour or so. The best practice that you could do is to always wear safety gloves when unhooking them. Another catfish fact that you should be aware of, is that these fish don't actually have scales, yes they don't have any! It's true that armored catfishes have bonny plates covering some parts of their bodies, but they don't really have scales. Someone would wonder how this fish is able to survive harsh conditions even without having solid scales that back them up. Well, the secret as many experienced catfishers say is in their tough skins. So if you think that their lack of scale is making them weak, you need to think again. Catfish doesn't actually ask for the luxury many other species do. They eat whatever food they find in their face. They can eat everything from meat, plants, bugs, fish eggs and even dead species. The best time for catching a catfish is probably when they are out for food. While these game fishes can eat anything, they definitely don't eat men as many myths and false stories try to tell you! Coming from Trinidad and South America are the Mail and Armored Catfish. These catfish are well respected even by larger fish. The catfish have partly covered bony plates, which double and its back and head has a covering. The mail and armor catfish have fatty moveable fins, which the adipose surround a hefty backbone. The dorsal fins are near the backbone. These catfish have two sets of barbel at the base of its mouth. Another group of catfish includes the Genus Corydoras. This group of fish is relatives to the Callichthyidae. If you are searching for tank catfish, hit the shop and buy a couple of these good buddies. The hardy fish have a curious nature, as well as amusing features. These catfish are ideal as well since they will clean up the neighborhood without a problem, thus eliminating pollutant build up. If you are purchasing the mail or armored catfish for breeding, you will need a tank solely for housing these fish. Armor and mail catfish tend to enjoy housing in murky colored waters where fine gravel rests at the bottom of the aquarium. Cryptocoryne is ideal to provide a hiding place for these fish, yet you should keep plant volume to a minimal. Stones are nice hiding spots for the mail and armored catfish, yet you must arrange them as arches, or related formations. How do I decide on water temperature? Catfish are not friendly to overheated waters. Therefore, the water temperature should be around 72 degrees Fahrenheit. You should also avoid over illuminating the tank. The water should have moderate alkalinity, hardness, or neutral conditions. As the fish mature, you will need another aquarium to manage conditions and segregated arrangements. During spawning, you should fill another tank up to fifteen gallons of water. You will know when spawning time has arrived at the shifting colors. Look for light rosy tints. The fish will naturally mate in pairs. Sometimes however when the fish are placed in separate tanks, spawning will not occur. If this happens, you want to reduce the water temperature to around 62 degrees Fahrenheit. In addition, you will need to add clean water to the tank. The fish will lay eggs the size of 2 mm and up to 400 eggs. After the eggs are hatched, you want to add methylene blue to the tank, so that the fry can prepare peacefully for deliverance. Fry fish from mail or armored fish tend to rot, so the water should be tainted a bluish shade, which is the purpose of methylene. Once the fry comes to the world, you want to feed them Micro worms, and later feed the fish saltwater shrimp. Bronze Corydoras, otherwise known as Corydoras Aeneus come from Venezuela and Trinidad waters. The fish grow 2 ½ inches in size. This particular breed is not a favorite fish added to the tank water. The greenish sides of the fish offset a pink colored frame. 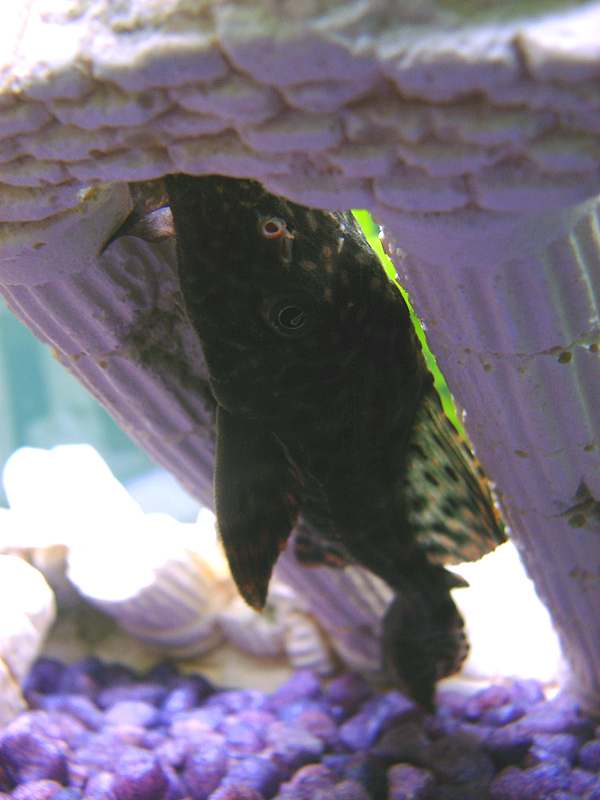 While the fish is one of the harder fish to adapt to the tank water, it does make a good communal tank fish. Bronze Cory will not assault, mistreat, or interfere with the life of other fish. The Bronze enjoys Tubifex and white worms, yet he will eat dried dishes as well. Alkalinity water is fine as long as the water condition is neutral. Hard water will suffice as long as you keep the volume in moderation. NaC1 or saltwater is not the Bronze Cory's preferred choice and these fish will let you know quick, therefore stay clear of this water condition.